The GMA Supply Chain Conference in San Diego offered fascinating insights into where the supply chain and companies are headed. There was a lot of positive energy in the sessions and a lot of valuable information exchanged. The best examples of retail/consumer goods collaboration are point-to-point (one retailer collaborating with a few consumer goods companies), leveraging enterprise tools like a DSR. How will that scale throughout their network? How will this be replicated by other retailers without the massive amount of work that went into it? My point is that this model, while touted as a success story, is not the answer at scale for the industry. Point-to-point collaboration requires too much work. There is a better solution: Retailers and consumer goods companies need to operate on a hub-to-hub network that allows them to share common data and common measures. The pace of change will keep accelerating. Everyone should expect the need for increased velocity. In response, retail and consumer goods companies will need to simplify, digitize and automate. Several presenters mentioned the “3G effect” on the industry – the impact that 3G’s ZBB methodology has cost reductions. ZBB 2.0 (“lean digital”) will have an even bigger impact on supply chains. The goal will be to reduce costs by 35% and reinvest 15% of the savings into innovation, which would still mean companies would operate at 80% of today’s cost structure. How will retail and consumer goods companies reduce their costs by 35%? It will obviously require a paradigm shift. You cannot squeeze 35% of your costs down by optimizing your current operations even further. Retailers and consumer goods companies will need to find new ways to operate. My answer to this challenge? Join a consumer-driven supply network and achieve all the benefits of a network-based collaboration and transaction backbone (improve your service levels, reduce your inventories, increase your on shelf availability and reduce landed costs – at the same time). Online shopping will continue to be a big story. 40% of the center store will move online by 2025 (number published at FMI Midwinter). 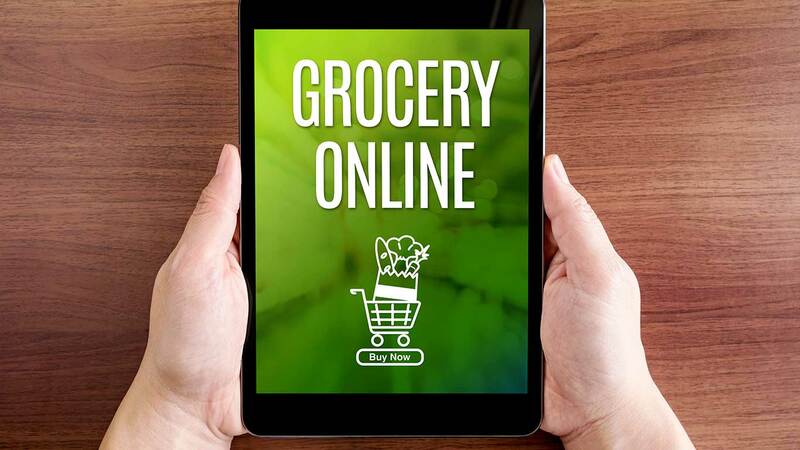 How will grocers survive and reinvent themselves? The perimeter of the store will be the center of attention, and fresh will become a critical success factor. A core competency of the retail supply network will be the cold chain. If grocers will need to win with the perimeter of the store, what will be the value of having “one more day” of shelf life in the store? How can grocers architect a faster supply network that gives them more shelf life? It is all about removing all the inefficiencies across the entire network, from field to fork. The focus on food safety has migrated to the need for full supply chain traceability. As a retailer stated, we need to fully understand our suppliers’ supply chain to trace products back to the source. The only way to achieve field-to-fork traceability at scale: A Network solution. Consumer-centricity and personalization will continue to be key areas of investment. Consumer analytics will keep driving more and more personalization. This is important as consumer dynamics keep evolving. In the context of collaboration, retailers and consumer goods companies still have ways to go to achieve excellence in Joint Business Planning (JBP). Why is making it difficult today? Lack of a common language (common data and common measures), need for better dashboarding and alerting throughout the end-to-end process, and use of stale data (not real time). Companies wish they could collaborate in a common tool and in a common format, sharing common data and common measures. Let me give you a hint: Multi-Party Networks. Companies will have to become “anticipatory” – shipping before getting the order. That is what Amazon is already doing this today by leveraging their consumer data and analytics. Predictive analytics based on real time consumption data will become a critical success factor. DSD continues to deliver valuable benefits, such as increased speed to market, greater category knowledge, reduced store labor and working capital for retailers, increased ROI on promotions, and greater agility to respond to demand. What are the obstacles to achieving greater success with DSD? Need for increased visibility, lack of a shared store level forecast, lack of visibility of inventory at the store level, lack of collaboration around common goals, and congestion at the back door of the stores for truck deliveries. Again, these problems can be fixed by adopting a network-based solution. My thanks to the GMA for putting a great conference together, and for the many great contributions by the leaders in Retail and Consumer Goods There was much to learn from their messages on stage. I hope my “Top 10 Lessons Learned” will be valuable to your business as well. Ten essential supply chain insights distilled from the GMA Supply Chain Conference 2017.